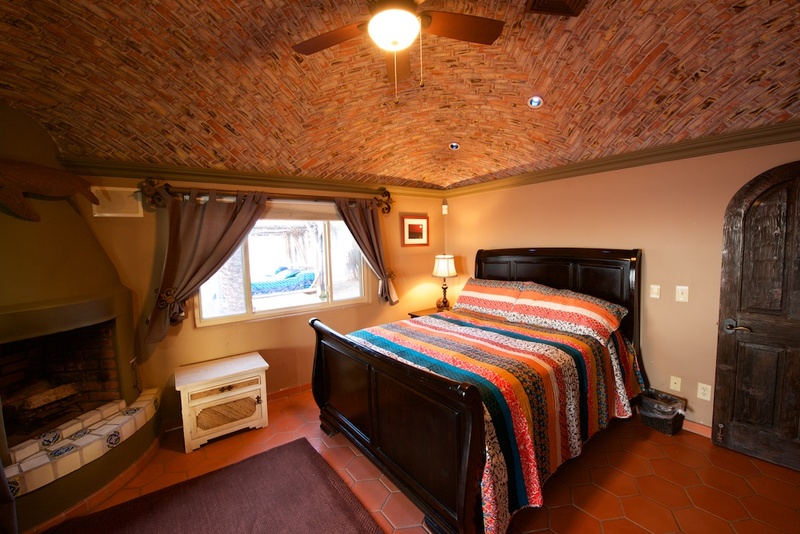 We call ourselves a boutique villa for a reason. 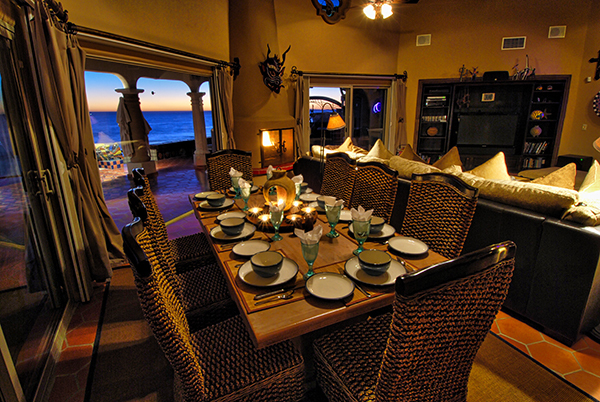 Unlike most beach house rentals, El Fin del Mundo is a very private, gated and walled compound situated on two beautiful acres and 250 feet of Las Conchas beach frontage atop a sandy bluff overlooking the Sea of Cortez. 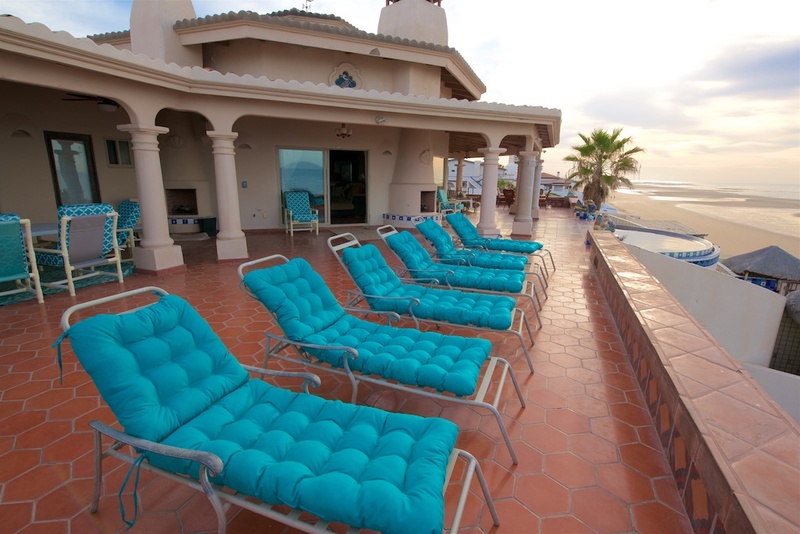 There are no blocked views and beach access is just 35 short steps down from the veranda. 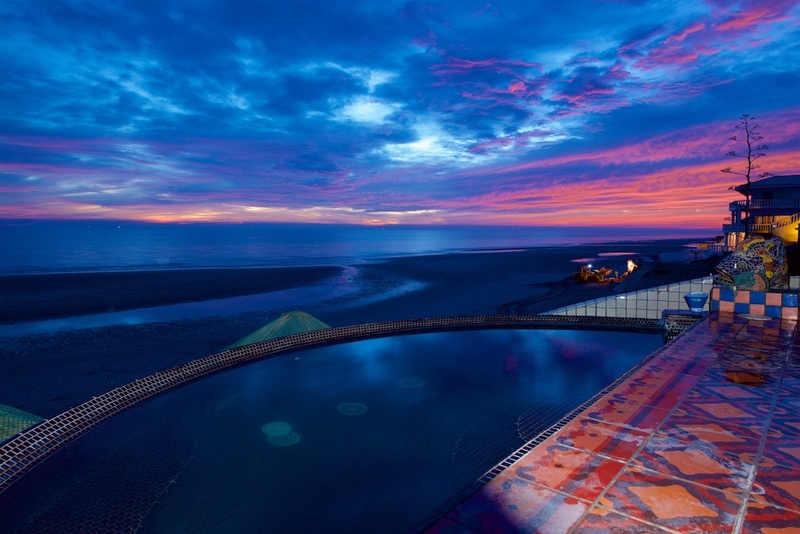 El Fin del Mundo is like having your own spectacular private resort. 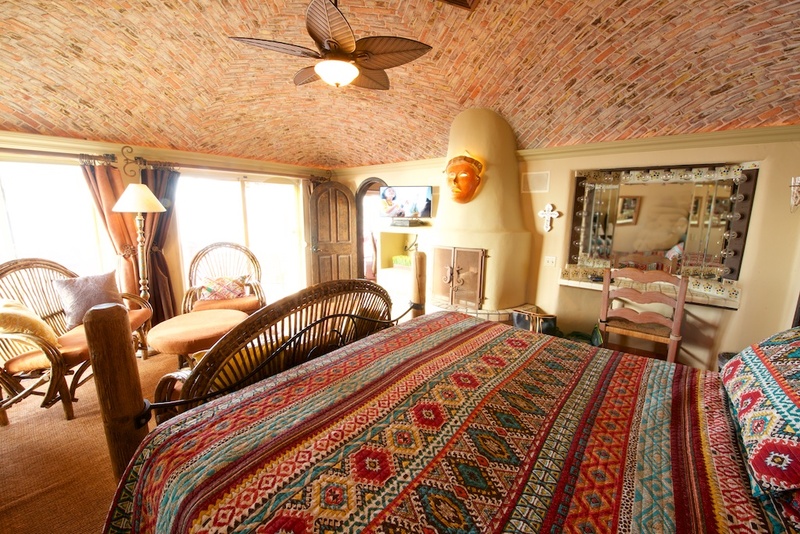 It was designed from the beginning to provide guests with the very best accommodations, extraordinary luxury and a vacation experience to be enjoyed year after year. 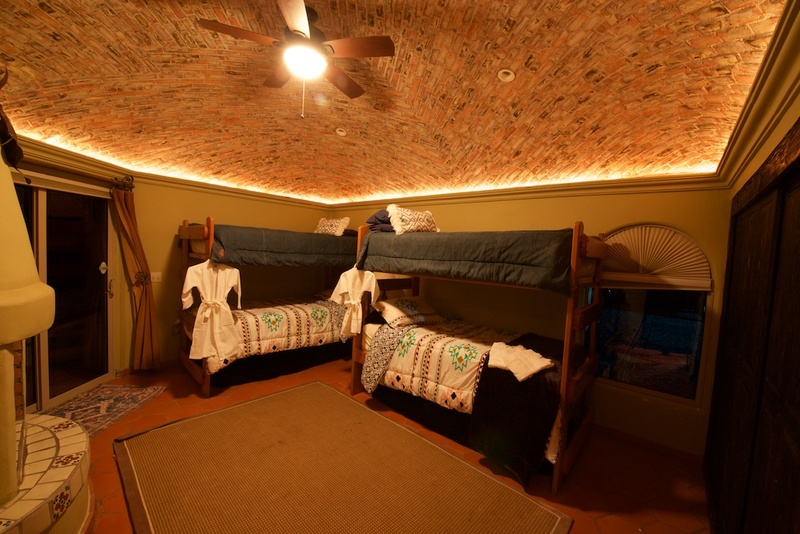 Every effort has been made to ensure that your vacation experience at El Fin del Mundo is exceptional. 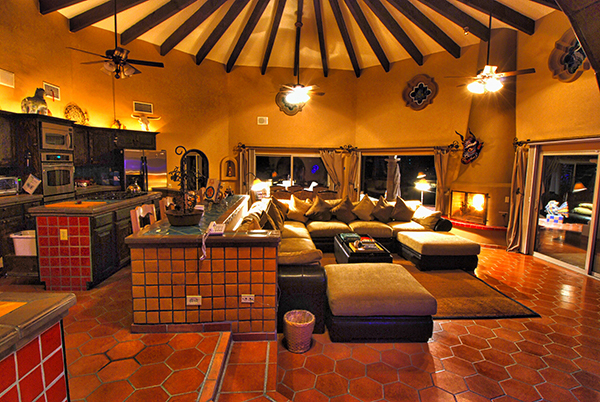 From the moment you arrive, you will feel welcome and at home in the incomparable ambience this villa provides. El Fin del Mundo seamlessly blends form and function to create living spaces of such exquisite beauty and elegance that they are seldom ignored, always appreciated and never taken for granted. Upon your arrival, you will be entering through a gated entrance and down a brick-paved driveway and into a spacious parking area suitable for up to six vehicles. 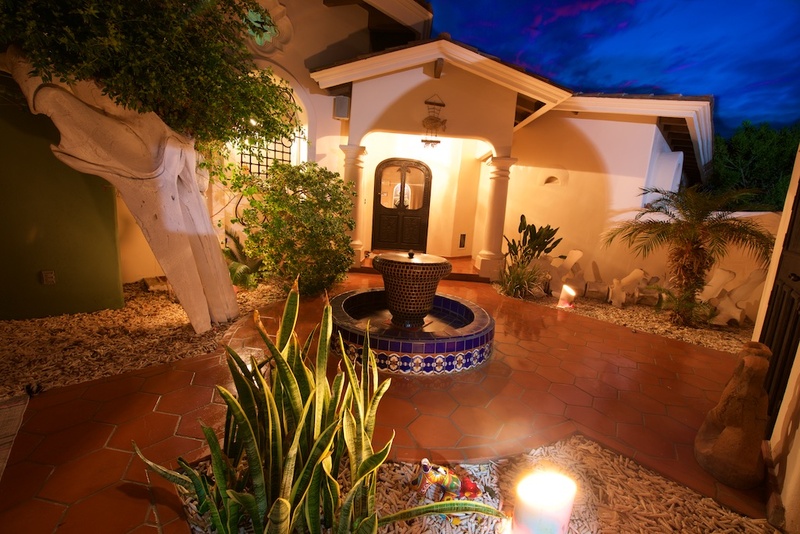 A small courtyard with water fountain leads to the front entrance punctuated by a bleached skull of a whale that once frequented the Sea of Cortez. 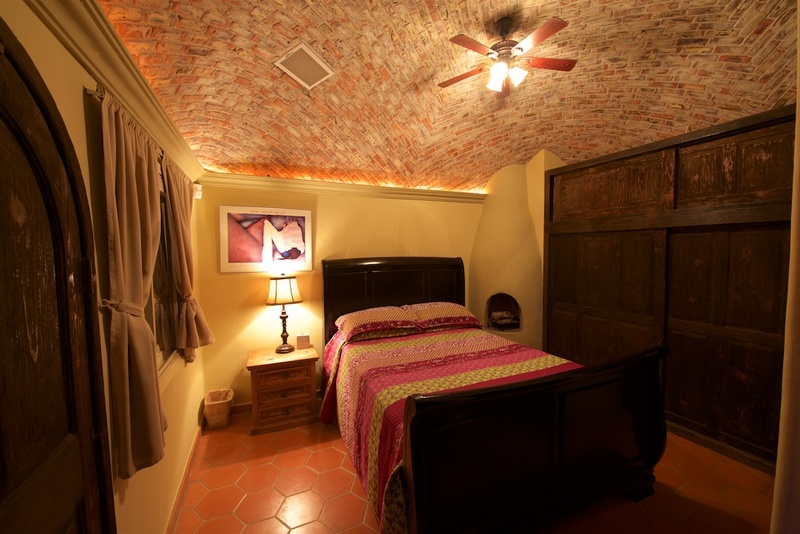 To your left just before you enter is one of the four available bedrooms. The entryway itself leads into the great room where spectacular ocean views await you. 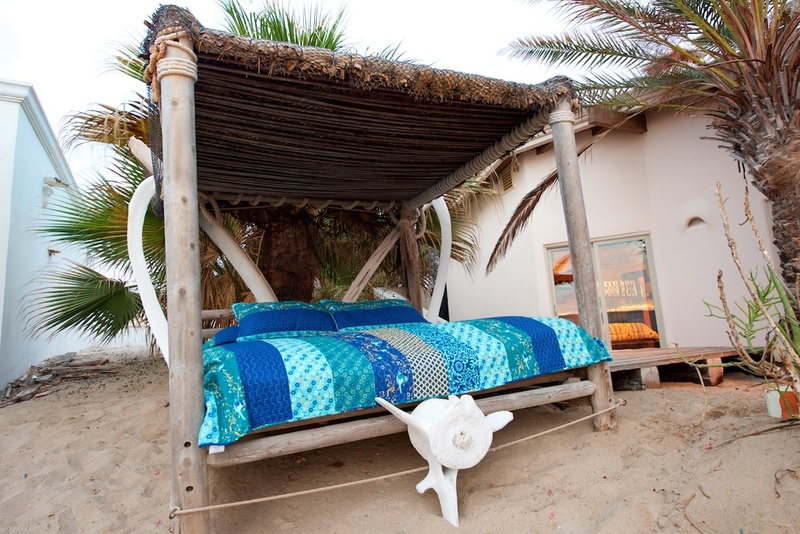 Plush, comfortable furnishings indoors and out await you. 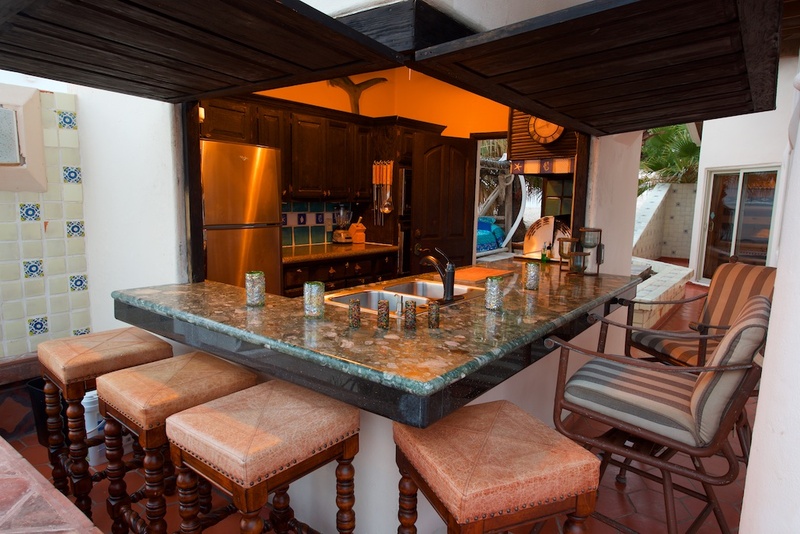 These furnishings have been chosen by the owner for his personal use as well as for his guests. 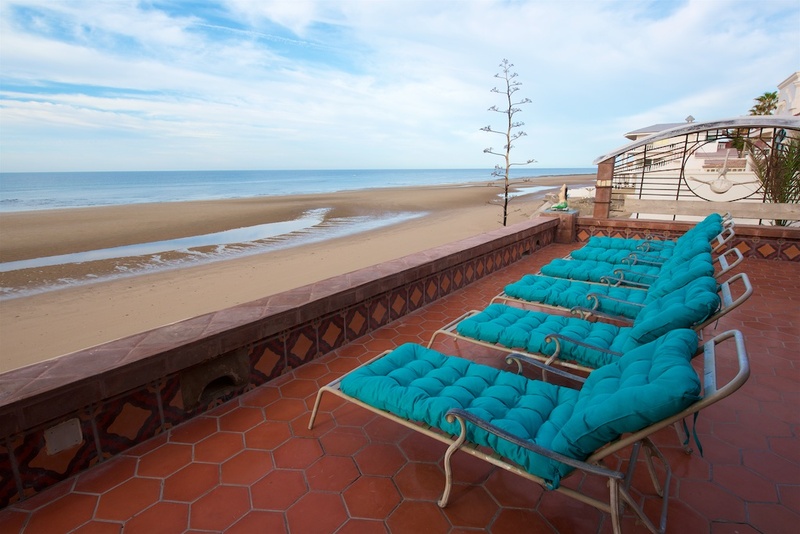 Such amenities are not typical of Las Conchas beach homes. 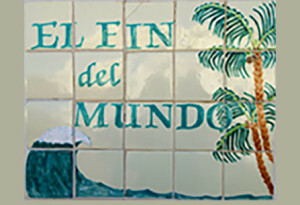 El Fin del Mundo is a private walled and gated estate. Our security system communicates with a private alarm company and the local police. In addition, the Las Conchas community is patrolled hourly on a 24/7 schedule. 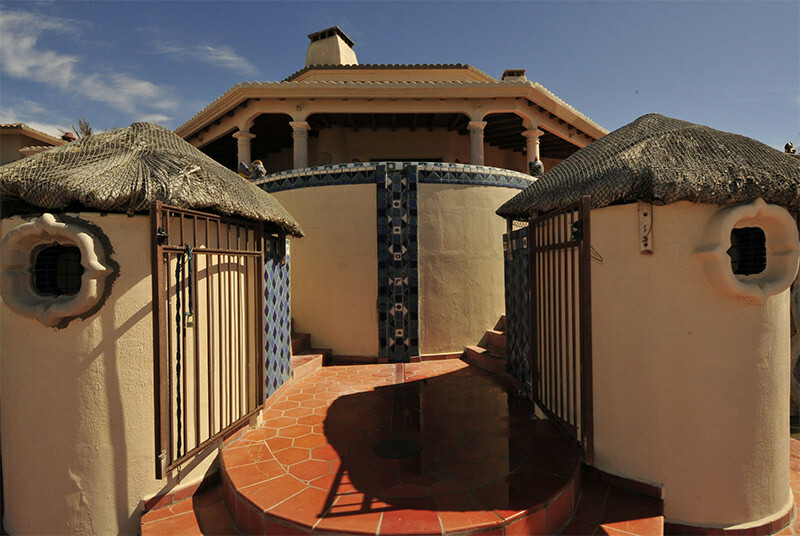 Beachfront hot and cold snail palupa covered showers await you on your return from the beach. Robes provided for each guest. * Please note: All (9) fireplaces at El Fin del Mundo are gas burning fireplaces only. No wood, paper or types of material are permitted in these fireplaces.